George Bellas is a Guitarist, Composer and Educator. He plays guitar, bass, keyboards, sings and composes neo-classical metal and progressive rock music as well as pure classical and jazz. A very early source of musical knowledge and inspiration for George was Walter Piston's 'Harmony' and 'Counterpoint' books along with Ted Greene's Single Note Jazz Guitar books. All of George's compositions are written on staff paper before ever picking up a guitar. His compositions incorporate a diverse amount of musical elements which include; improvised solos, odd meters, polyrhythms, classical harmony, classical counterpoint, jazz harmony, ultra modern harmony, dense orchestrations, lyrical melodies and outlandish song forms. The main equipment George uses includes: Gibson Flying V's, Fender 1957 Stratocasters, Fender American Standard Stratocasters, Gibson 1960 Goldtop Les Pauls, Ovation Acoustics, Fender Basses, Dean Markley strings, Jim Dunlop JazzIII picks, Korg tuners, Mogami cables, Marshall JCM900, Marshall JCM800 and Marshall MKII amplifiers, Marshall speaker cabinets, Sure SM57 microphones, AKG micrphones, Ibanez Tube Screamers (Keeley modified and stock TS9s), Focusrite Red Series mic preamps, Apogee converters and Wordclocks, Coleman Audio 5.1 sound distribution, Mackie and Soundcraft mixers, Mackie HR824 studio monitors, Apple computers, RME Audio Electronics, Logic Pro software, Alesis and Studiologic Keyboards, Auralex sound insolation and various EastWest & Vienna sound libraries. In the very beginning... George Bellas started playing guitar at the age of 7, on a Classical guitar his father had bought him. On the way home from getting the guitar, in the back seat of the car, George started to play. When he got home, he ran all around the neighborhood playing his new guitar. The next day at school, George checked out every single music book in the school library, went home, and began his quest to obtain an absolute understanding of every detail in music theory. George began practicing and studying really hard at first, to the point of which his fingers began bleeding. He would put band-aids on them and continue practicing. His influences include: Bach, Beethoven, Brahms, Paganini, Liszt, Chopin, Mahler, Wagner, Debussy, Shoenberg, Slominski, Carl Orf, John Williams, Danny Elfman, UFO, AC/DC, Ted Nugent, Kiss, Styx, Triumph, Boston, Gary Moore, Journey, Led Zeppelin, Gamma, Scorpions, Rush, Kansas, David Gilmour, Uli Jon Roth, J.S.Bach, L.V.Beethoven, Franz Liszt, Chopin, Paganini, Debussey, Carl Orff, Walter Piston, Ted Greene, Robin Trower, Ronnie Montrose, Van Halen, Michael Schenker, Magellan, Al DiMeola, Yngwie Malmsteen, Tony MacAlpine, Jason Becker, Shawn Lane, Albert Einstein, Carl Sagan, Stephen Hawking, Dr. Michio Kaku, Edwin Hubble, Nikola Tesla and John Hutchison. George began performing live very early on and gigged extensively with his bands: Union Jack, Destiny, FreeFall and Prodigy, all the while he continually studied Music Theory, Harmony, Rhythm, Counterpoint, Form and Composition. George began teaching guitar in his early teens and shortly after opened a school of music called "Prodigy's School Of Music". During this time he continued to perform live with his bands and compose a seemingly endless amount of music. George had an attraction towards Classical counterpoint and odd rhythms very early on which are now a unique signature of his style. George's compositions include ultra-modern, progressive instrumental music, neoclassical, straight forward rock vocal tunes, film music and pure classical music. George exhibits great compositional and technical prowess with a beautiful sense of melody, harmony and finesse. In 1996 George Bellas signs with Shrapnel Records. George sent demos of his compositions to Shrapnel Records and President Mike Varney immediately recognized George's talent and versatility. He signed George to a solo deal and flew him out to California to record his debut album. The musicians were: Deen Castronova - Drums, Kevin Chown - Bass, Matt Guillery - Keyboards, Brad Kaiser - Drums, Mike McCarron - Drums, George Bellas - Guitar, Bass, Keyboards. He recorded in December of 1996 and his first album "TURN OF THE MILLENNIUM" was set to be released on May 21,1997. Shortly after signing with Shrapnel Records, George got a call from Mike Varney asking him if he would be interested in joining UFO. Phil Mogg and Pete Way decided on George after hearing George's playing and song writing. George began travelling to Pete Way's house and started writing and arranging the songs with both Phil Mogg and Pete Way. After meeting several times and developing the songs, it was time to fly out to San Francisco and record the album. The recording took place in February of 1997 at Prairie Sun Recording Studios in Cotati, California. The band consisted of Phil Mogg-Vocals, Pete Way-Bass, Ansley Dunsbar-Drums, George Bellas-Guitar and special guest Eric Martin-Vocals (Mr. Big). Due to legal reasons, that were un-resolvable at the time, the band went under the name MOGG/WAY and released their first album entitled "EDGE OF THE WORLD". And in between those 2 albums George managed to write a bunch of songs and record an album for the highly talented vocalist John West. The album, which was entitled "MIND JOURNEY", featured John West, George Bellas, Barry Sparks, Mike Terrana and Matt Guillory. This album was recorded in January of 1997 and again at Prairie Sun Recording Studios as well as at James Murphy’s Sound Temple Studio. The album was released in May of 1997 on Shrapnel Records. George finished his 4th album for Shrapnel Records in November of 1997. It is an all instrumental neoclassical album, rich in classical counterpoint and ripping guitar. The line up was: Deen Castronova-Drums, Barry Sparks-Bass and George Bellas-Guitar & Keyboards. This album is titled "MIND OVER MATTER" and was released in February of 1998. George also composed music for the 2nd John West CD entitled "PERMANENT MARK" which was released in the 2nd quarter of 1998. In March of 1998 world famous classical pianist Vitalij Kuprij flew to Chicago to record an all instrumental album entitled "EXTREME MEASURES" for Shrapnel Records. George engineered all the keyboard and guitar tracks at his studio. The album is neoclassical in style and an extreme showcase of mind boggling chops performed by the two virtuosos, along with Jon Doman - Drums and Jon Onder - Bass. The album has numerous highlights of incredible, over the top performances! Early 2001 George recorded "THE ORACLE" with the new band "Ring Of Fire". The band members were Mark Boals-Vocals, Vitalij Kuprij-Keyboards, Virgil Donati-Drums, Philip Bynoe-Bass, George Bellas-Guitar. 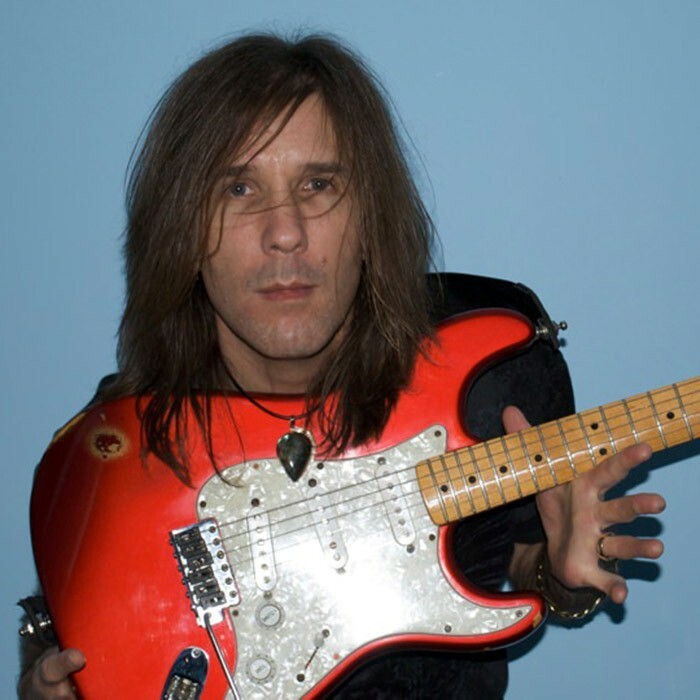 Tracks were cut in Chicago, Steve Vai's "The Mothership" studio, Eric Norlanders "Think Tank Media Studio" as well as "The Green Room". The album is a fierce collection of well crafted songs with beautiful Neoclassical melodies, chord progressions, aggressive rhythms and great virtuosic performances by everyone. Any fan of the Neoclassical style should definitely have a listen to "The Oracle". 4th quarter 2001 George completed a 12 CD-ROM guitar course called "The George Bellas Instructional Series". This series is for anybody interested in developing better guitar technique. The course will continue to be updated and expanded upon as new technologies become available. During the Fall of 2002, George recorded and released another album called "HUNDRED YEAR FLOOD" with the progressive rock group "Magellan". The band members are Trent Gardner-Keyboards/Vocals, Tony Levin-Bass, Joe Franco-Drums, Ian Anderson - Flute, George Bellas-Guitar and others. The album ‘Hundred Year Flood’ was released September 10, 2002 on Magna Carta Records. During January 2003, Bellas Music Studio Inc., George's primary media production company, released several music education software titles that include: EarTraining, GuitarPaper , Metronome, StudioLog and GuitarTuner for Mac OS X. These are a set of music tools developed and coded by George Bellas. "The George Bellas Instructional Series" 12 CD-ROM Guitar Course continues to gain increasing popularity amongst an army of students and educators worldwide. In June 2003 George Bellas signs with the Lion Music record label. George’s album “VENOMOUS FINGERS”, is released November 18, 2003 on Lion Music and picks up stellar reviews over the globe. June 2007 - George appears in Malaga, Spain to conduct a 3 day weekend of Masterclasses at the Guitarra Acedamia. While there he also performed an impromptu on the coast of Spain and recorded some solos for the professor at the school. August 2007 - Legendary Scorpion's Guitarist, Uli Jon Roth contacts George to perform some concerts with him along with Michael Batio, Joe Stump, Johnny Highland, Mark Boals, Tony Franklin and many more. The concerts ended with a finale of the classic song "Johnny B. Goode", with George Bellas, Uli Jon Roth, Michael Batio, Johnny Highland and Joe Stump all trading solos in what had to have been the fiercest rendition of the song ever. November 17, 2007 - George appears at the Guitar Institute of Technoloy (GIT) for a clinic and open counseling. There were so many students waiting for for his classes that the school had to quickly find a large enough room to accommodate the larger than expected crowd. Even with the larger room students were still hanging out of the doorway into the hall. November 18th, 2007 George released a neo-classical/progressive vocal project album entitled "FLYING THROUGH INFINITY". The album was released through Lion Music. February 15th, 2008 George released a highly progressive instrumental album entitled "PLANETARY ALIGNMENT". This album featured the extraordinaire drummer Marco Minnemann. The album was released through Lion Music. June 2008 George finishes production for his new album "STEP INTO THE FUTURE". The album will be the most massive body of music that George has ever released. "STEP INTO THE FUTURE" is released worldwide on January 23, 2009 through the Lion Music record label. May 2009 sees George in the final production stages of his new album entitled "THE DAWN OF TIME". The album features world renowned drummer extrordanaire Marco Minnemann. This new album will be released worldwide on Lion Music in early 2010. 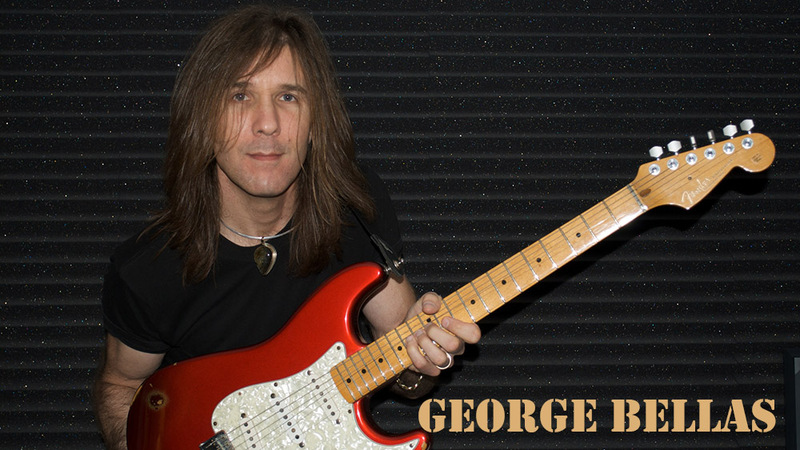 George is one of the most in demand music and guitar instructors in the world. His student base is quite vast and spans many countries, including: The USA, Japan, Africa, Sweden, Switzerland, South America, Mexico, Spain, Australia, France, Great Britain, Thailand, Korea, Turkey and more... George has taught thousands upon thousands of students through his Masterclasses, Guitar Clinics, Private Lessons and electronic instructional media. http://www.LionMusic.com Read more on Last.fm.